This classic piece of British heritage will enhance a property by giving it a stately feel. Aesthetically attractive, the Gable conservatory proves to be a popular style, and is available in a variety of decorative finishes. Influenced by the grand architecture of the Georgian period, the Gable conservatory will bring a touch of grandeur to any property. Most commonly seen amongst period style properties, the Gable conservatory enhances a property’s stately appearance. Unlike other traditional style conservatories such as the Victorian and Edwardian, the Gable conservatory features a high vaulted roof. Inspired by the roof most commonly used in your average property, the roof meets in the middle of the structure creating a triangle like shape. The gable conservatory is renowned for its unique sloping roof and is admired by many home owners for its elegant structure. The Gable conservatory combines form and function. Its high vault roof will enhance all available light, providing a bright and airy atmosphere. These conservatories are best suited to high-ceilinged homes. Elevated at the front, the Gable conservatory has windows which extend all the way to the apex of its roof. The Gable conservatory will greatly compliment period style properties, however any home can benefit from this impressive structure. Rectangular in construction, this gable conservatory style will provide you with a spacious floor plan so in terms of décor, you won’t be limited. This design is extremely attractive aesthetically, providing to be a popular style amongst many property owners. It is available in a variety of decorative finishes including the famous sun burst effect. An excellent option for maximising light and space whilst maintaining an elegance. Highly versatile, the gable conservatory isn’t restricted to stately homes. New builds and even houses with low roofs can also have a stylish and efficient gable conservatory installed. Impressive from every angle, you can ‘WOW’ your neighbours and guests with the high apex in the roof. For bungalows and other height-restricted properties, a hipped-back roof with box gutter is normally the best option. 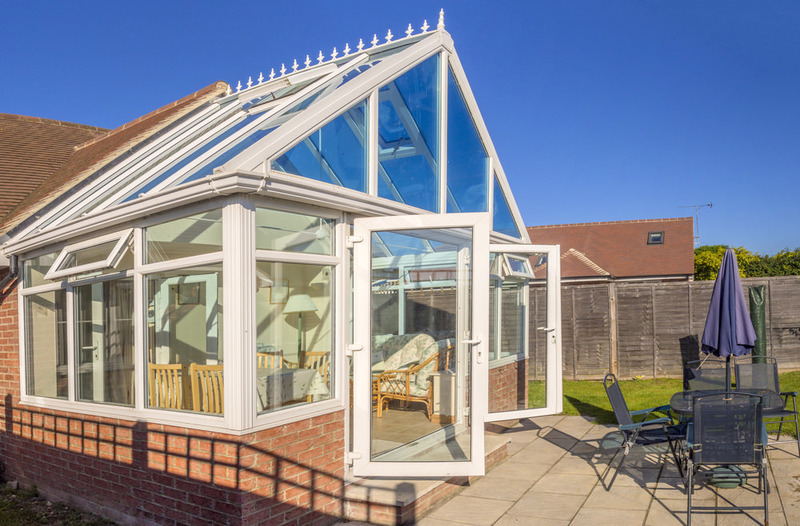 Make sure your new conservatory isn’t costing you more than necessary. With energy efficient conservatory glass you will be making a great investment. You will receive a number of benefits to installing highly energy efficient conservatory glass in you new gable conservatory. 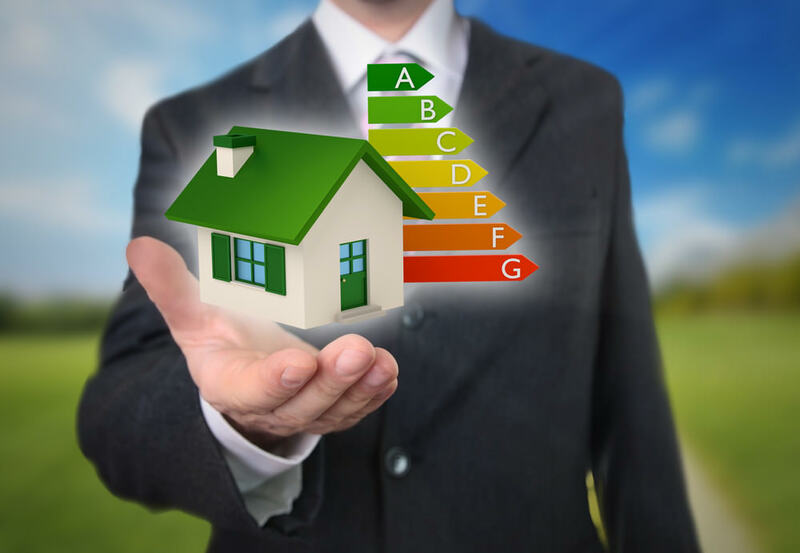 Reduce your heating bills almost instantly. Temperature regulation is important if you want to control your gable conservatory’s climate. Energy efficient glass will retain heat during winter, allowing your gable conservatory to stay warm during the winter months. Being pro-active in reducing heat loss, you will put aside artificial heat sources such as electric heaters and benefit from the heat created by your new gable conservatory. A gable conservatory’s innovative design will ensure it remains cool during the warmer months too so you can use your conservatory throughout the year. Energy efficient glass reduces any glare from the sun so you won’t need to rely on electric fans to keep you cool in the summer months when you want to be enjoying your conservatory and outside space. How Much Does A Gable Conservatory Cost?